Sixth sense (psychic ability), is our ability to perceive the subtle-dimension or the unseen world of angels, ghosts, Heaven (Swarga), etc. It also includes our ability to understand the subtle cause and effect relationship behind many events, which is beyond the understanding of the intellect. Extrasensory perception (ESP), clairvoyance, premonition, intuition are synonymous with sixth sense or psychic ability. 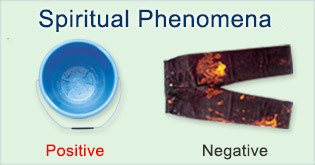 An activated sixth sense (psychic ability) is an important tool in conducting spiritual research. In this section, we have presented a list of subtle-experiments. 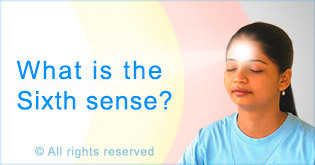 By participating in it you will be able to assess your sixth sense (psychic ability). Even if you are unable to perceive anything in the subtle-dimension or even if you get the answer wrong, do not be disheartened. With continuing spiritual practice as you progress, gradually your answers will be correct. Sixth sense, or subtle perception ability, is our ability to perceive the subtle-dimension or the unseen world of angels, ghosts, Heaven (Swarga), etc. The following is the order in which our ability to perceive frequencies/vibrations from the spiritual dimension is activated. What are drawings based on spiritual knowledge? Drawings based on spiritual knowledge are an important tool in Spiritual research. They have the same place like X-rays have in medical science. How much can we perceive with sixth sense (psychic) abilities? The capturing of paranormal activity on film or the ability to see an out-of-focus face of a ghost is just the tip of the iceberg in the understanding of the subtle-dimension. Sixth sense is our ability to perceive the subtle dimension. We are able to see into the subtle dimension due to drawings based on subtle knowledge. Yoya is hearing and speech impaired, and she is a subtle artist. This means that she has the ability to visually perceive the spiritual dimension just as we do the physical dimension and her talent as an artist enables her to draw what she sees. 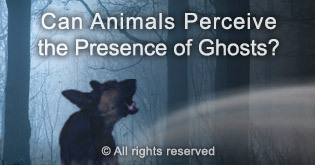 This article gives a spiritual perspective on the spiritual life of Nostradamus and the information has been obtained through an advanced sixth sense..
Do animals have the sixth sense to perceive the presence of ghosts? Most animals have the ability to sense the subtle dimension. In this example, we used PIP to understand the difference in the energy field around spiritually pure objects such as a Saint's handwriting as opposed to a normal person's handwriting. It is true that animals are able to perceive the presence of negative energies. 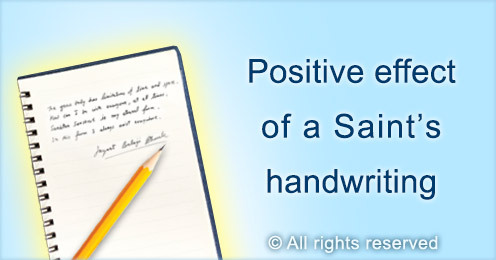 Using PIP we can see what vibrations emanate from the handwriting of a Saint. Vamsi explains how he had a spiritual experience of smelling a fragrance of Holy ash while serving God. Maya got the fragrance and taste of sandalwood while reading articles related to Spirituality. Sean describes perceiving subtle fragrance from a sweet (candy) wrapper. When our sixth sense gets activated, we begin to perceive these Absolute Cosmic Principles progressively. Learn how you can start your spiritual journey and experience the subtle dimension. 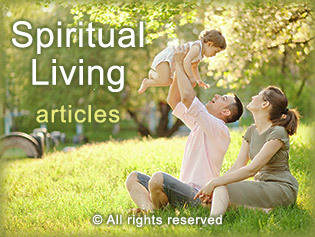 SSRF has compiled a collection of case studies about various spiritual phenomena that are taking place around the world. affects every facet of our lives. 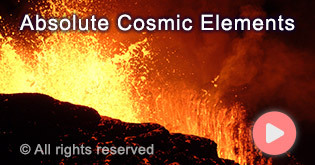 Learn how the Absolute Cosmic Elements manifest in the physical realm, creating the world known to us. Spiritual research is researching the spiritual dimension or spiritual realm with the help of an advanced sixth sense (ESP). The spiritual experiences given in this holy book are in the context of H.H. Bhaktaraj Maharaj the Guru of H. H. Dr. Jayant Athavale, Maharaj's successor H.H. Ramanand Maharaj and Dr. Athavale.